In an exclusive interview with BeirutNightLife.com, Andy Moor has made it clear, “Lebanon can expect me full of energy and excitement. My style has grown and progressed over the years to contain more energy, tougher beats without losing any of the finer details and musicality”. 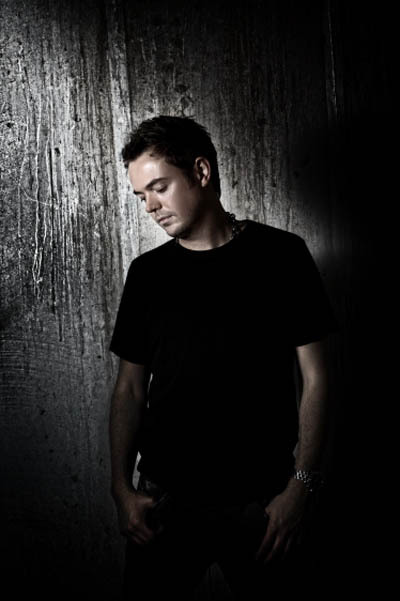 The Grammy-nominated Andy Moor who is an icon in the electronic dance music industry, will take part in the closing on Sept. 11th, 2010 when Poliakov present the World’s Biggest Trance trio DJs/ Producers ABOVE & BEYOND Anjunabeats Volume 8 World Tour (2010) at Forum De Beyrouth. 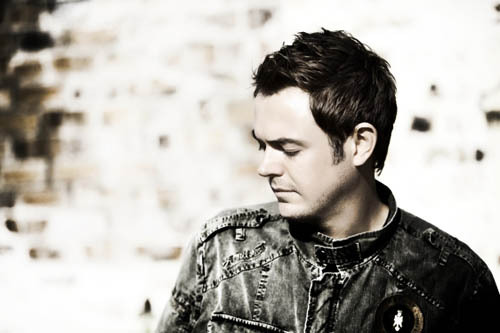 Superstar Andy Moor has also revealed that he will have some tunes played in Lebanon that probably have not been made yet, “There will also be some exclusive material from myself, and the rest will be a surprise. I am currently working on my solo album, which is slowly progressing nicely. A lot of down tempo material combined with music for the dance floor. Im finishing off an intensive summer of touring but will be doing a lot less next year whilst I concentrate on spending alot more time in the studio,” added Moor. So Beirut…. 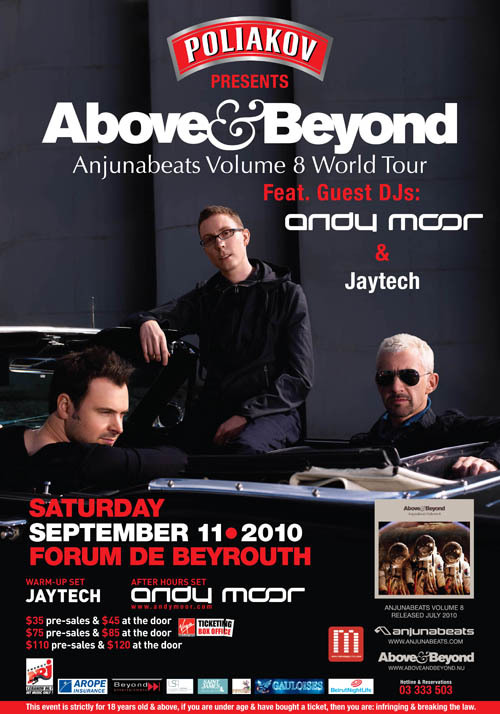 get ready… You heard it from Jaytech and now from Superstar Andy Moor… Coming up next… Above & Beyond giving you a piece of their mind on the Sept. 11th, 2010 when Poliakov present the World’s Biggest Trance trio DJs/ Producers ABOVE & BEYOND Anjunabeats Volume 8 World Tour (2010) at Forum De Beyrouth.